Welcome to our online forum guide. This guide contains basic information about how to use the forum and how to manage your online account. There is also a list with definitions of terms that are helpful to understand when reading this guide. If this guide does not contain the information you need, please contact our Office Administrator, Carol Fulkerson (admin@uugrassvalley.org or 530-274-1675). 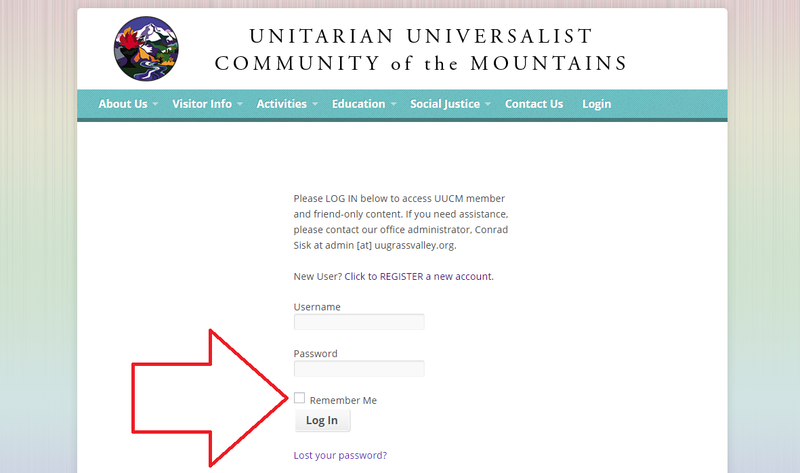 Please see this page to learn how to register to access the Members & Friends section of the UUCM website: “How To Register”, or click here to go to the registration page. 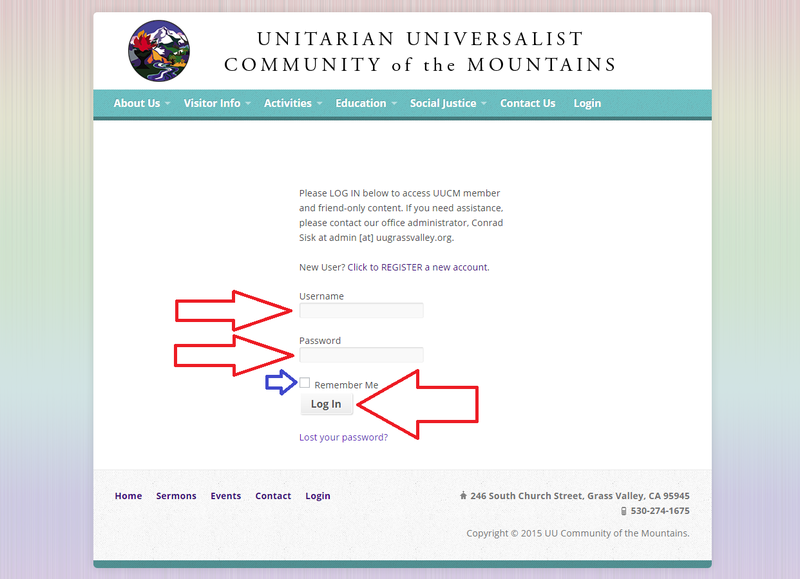 If you do not see the “Login” option at the top right of any UUCM web page, you are already logged in to the system. To create your new topic, simply type your title in the “Topic Title” box. Immediately below this box, there is a row of teal-colored buttons that you can use to format your post, if you wish. Immediately below these buttons, there is a big box where you should type the message you want to post on the online forum. 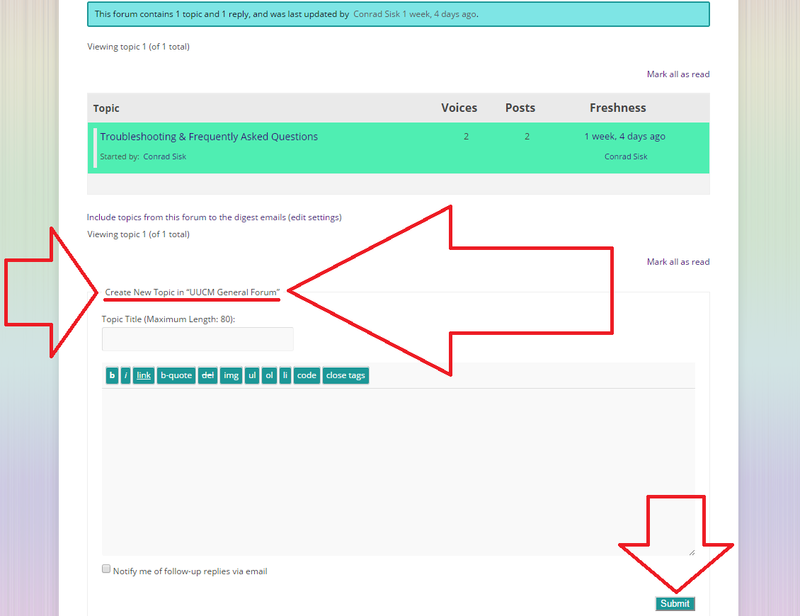 Once you’ve finished typing your post, you can select the box “Notify me of follow-up replies via email”, if you’d like. Then click the teal-colored “Submit” button at the bottom of the Create New Topic in “UUCM General Forum” form. The “Submit” button is indicated by a downward pointing red arrow in the picture above. Immediately below the title of the Reply To form, there is a row of teal-colored buttons that you can use to format your reply, if you wish. Immediately below these buttons, there is a big box where you should type the text of your reply. Once you’ve finished typing your reply, you can deselect the box “Notify me of follow-up replies via email”, if you’d like. Then click the teal-colored “Submit” button at the bottom of the Reply To form; this button is circled in red in the picture above. Reporting is anonymous to everyone except for the office administrator. A person will not be notified automatically if a post they created is reported. Moderators will review reported posts, and decide whether they should be removed from our online forum according to our Forum Guidelines (click to view). You can add the members & friends main page and/or the general forum page as a “favorite” or “bookmark” in your web browser for easy access from your computer. You must be logged in to view these pages. If you prefer to log out of your account after each session, you can bookmark the main login page. When you enter your username and password on the main login page, you will be automatically redirected to the members & friends main page. Apple Safari version 6 and 7: Please click here to learn how to add a page as a bookmark in Apple Safari versions 6 and 7. Apple Safari version 8: Please click here to learn how to add a page as a bookmark in Apple Safari version 8. Google Chrome: Please click here to learn how to add a page as a bookmark in Google Chrome. Mozilla Firefox: Please click here to learn how to add a page as a bookmark in Mozilla Firefox. Opera: Please click here to learn how to add and use a bookmark extension fro your Opera browser. You may edit your user information from the “Edit Member Profile” page. 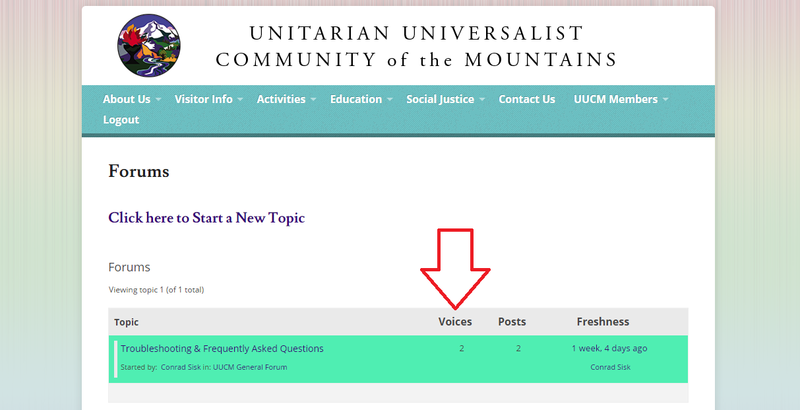 You can reach this page from the “UUCM Members” menu item, or from the main UUCM Members page. 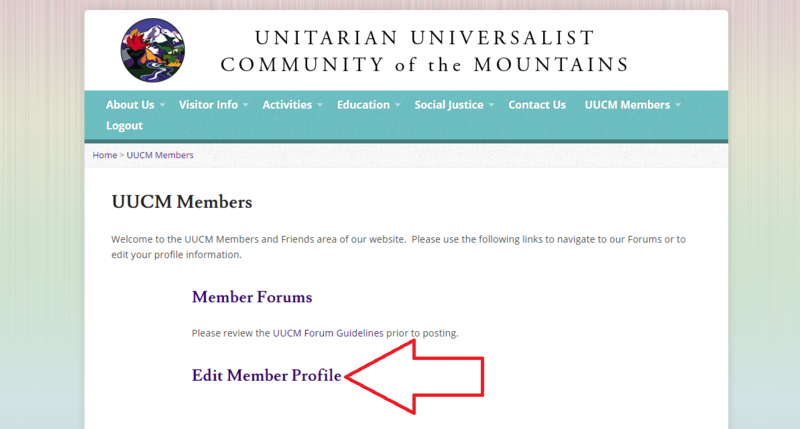 IMPORTANT: The “UUCM Members” menu item will only be displayed if you are already logged in to our site, and you can only view the main UUCM Members page and the “Edit Member Profile” page if you are already logged in. You have several options when subscribing to email notifications for the member & friend forum. Here is a list of some terms you will see in this guide. Click on each term for short explanations about how these words are used when referring to the UUCM online discussion forum. Programs that you use to browse the web – Internet Explorer, Firefox, Chrome, Opera, and Safari are a few examples – provide the ability to create bookmarks of web pages so that you can access these pages quickly in the future from the bookmarks bar or folder of your web browsing program. Please look below or click on the following link if you’d like to be able to access this forum with less time and effort by using a bookmark: “How to Bookmark the Forum in Your Web Browser”. In the context of this online forum, an email digest is a summary of messages that have been posted on the forum. 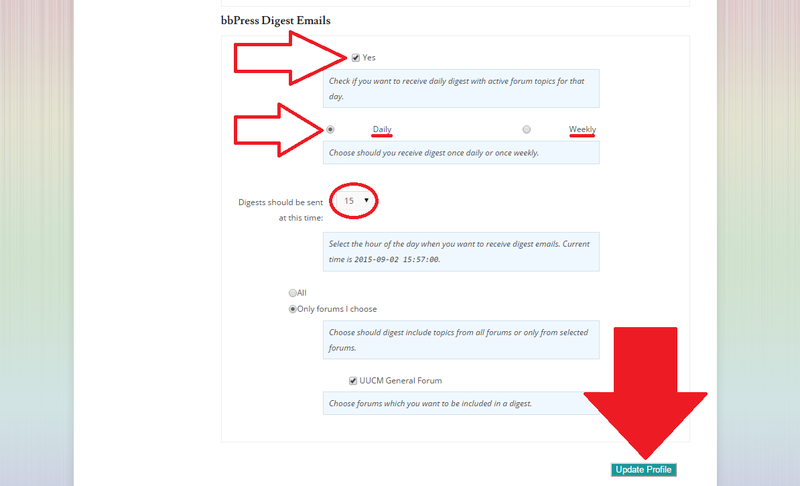 If you choose to receive an email digest of activity on the forum, you will receive one email per day or per week, rather than receiving a separate email notification whenever someone posts on the forum. Please look below or click on the following link to learn more about this option: “How to Receive Email Notifications as a Daily or Weekly Digest”. You may subscribe to receive email notifications about activities on the forum. 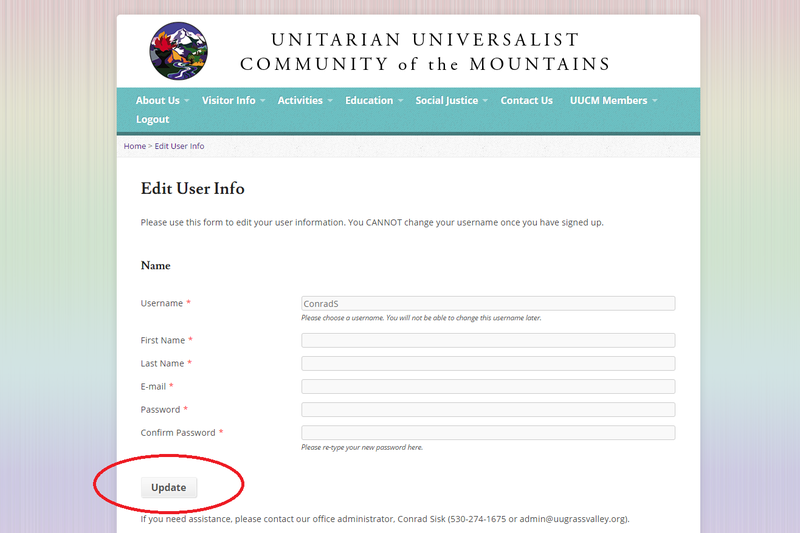 If you elect to receive these, email notifications will be delivered to the email address you use to log in to your UUCM online forum account. You have several options for email notifications (also known as subscriptions). Please look below or click on the following link to learn more about subscribing to email notifications: “How to Subscribe to Email Notifications”. Please look below or click on the following link to learn more about receiving your emails in digest form: “How to Receive Email Notifications as a Daily or Weekly Digest”. An internet forum, or message board, is an online discussion site where people can hold conversations in the form of posted messages. 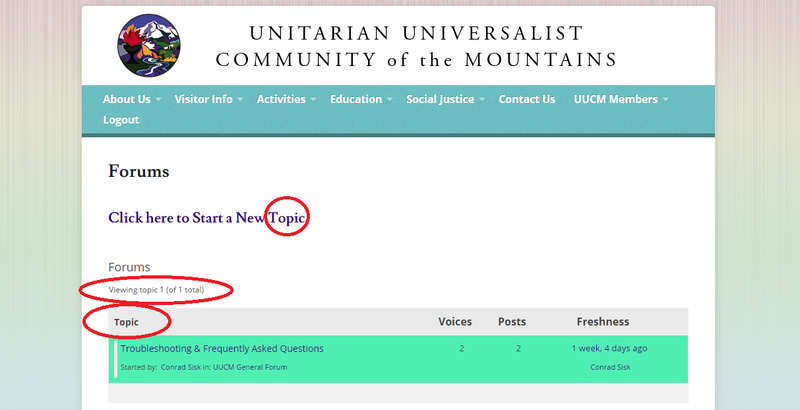 Registered UUCM members and friends can create new “topics”, and respond to the “topics” others create on the UUCM online forum. Please look below or click on the following link to learn more about topics: “Topic”. A listserv is an application that distributes messages to subscribers on an email list. 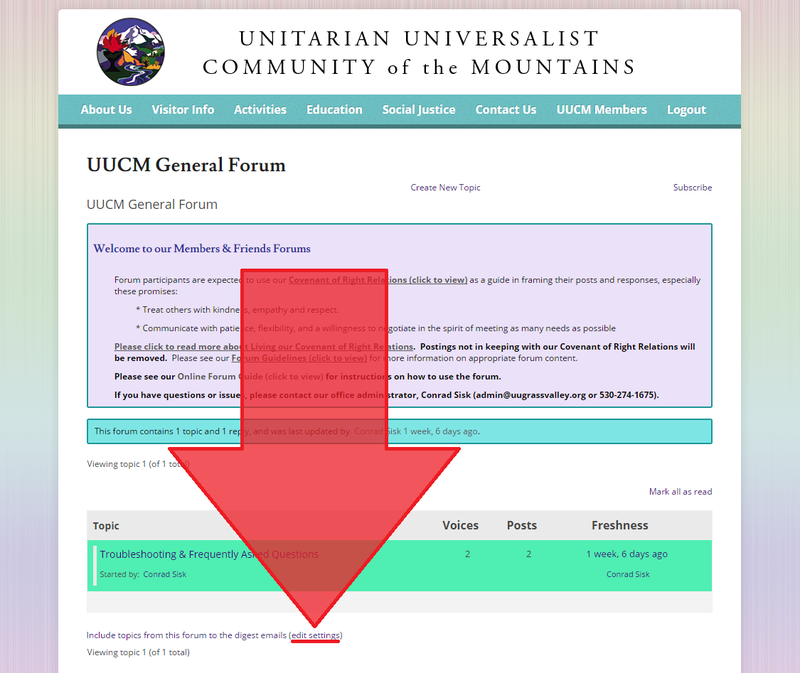 Before creating this online forum, registered UUCM members and friends could post messages to the “General” listserv by sending messages to general@uugrassvalley.org. 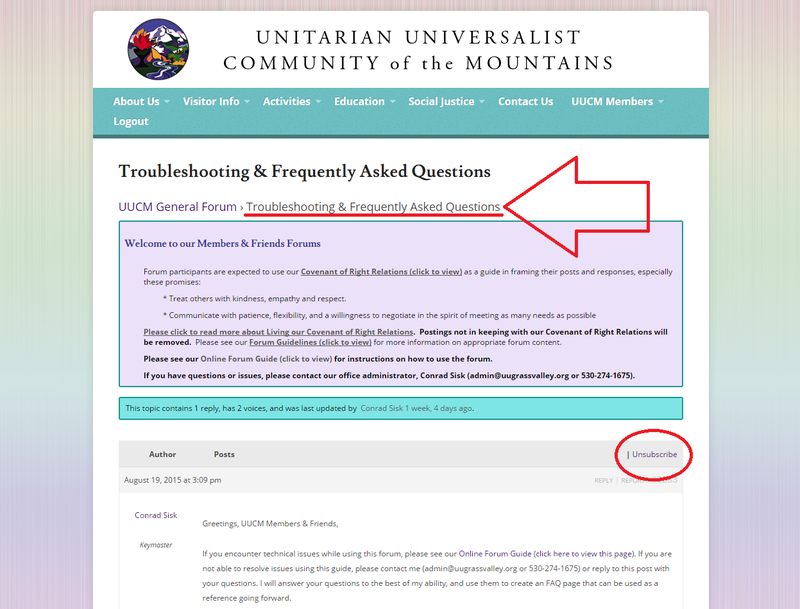 This online forum strives to improve upon the listserv experience, by making online communication among UUCM members and friends more interactive, more customizable, and less regulated. A login is a username and password that allows a person to log in to a computer system, network, mobile device, or user account. The term “post” can refer to any message on an online message board or forum. A post can be a “topic” or a “reply“. You can create a new post, reply to a post, edit a post, or report a post. Please look below or click on the following link to learn more about topics: “Topic”. Please look below or click on the following link to learn more about replies: “Reply”. 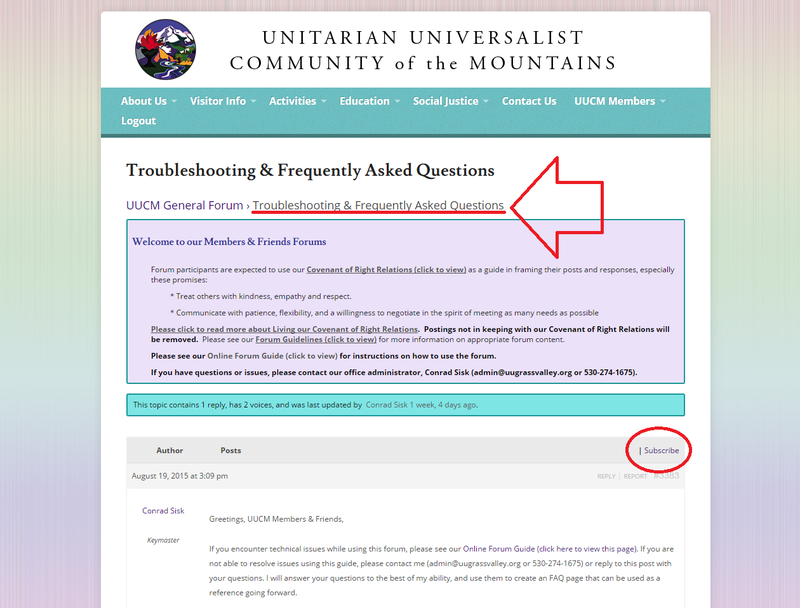 All UUCM members and friends must be registered to use our online forum. Registration is the first step to using the online forum. 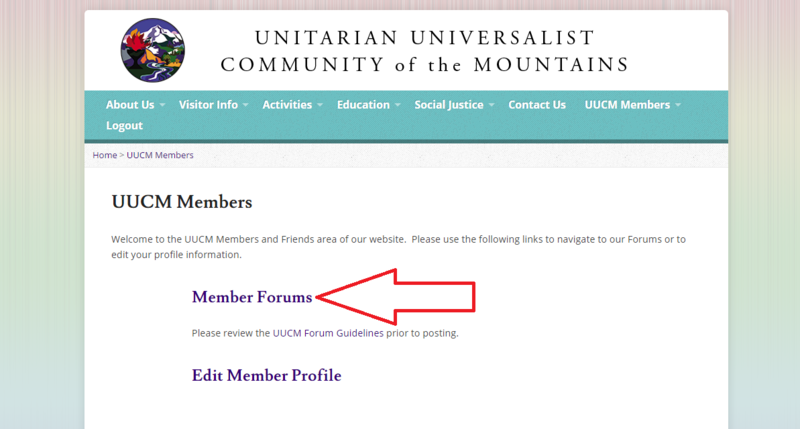 Once you have registered, we must verify that you are a member or friend at UUCM before you will have access to our members and friends online forum. If you are not registered yet, please click on the following link to learn how to register: “How to Register”. A reply is a form of post. It is any response to an existing topic. Please look below or click on the following link to learn how to create a reply: “How to Reply to an Existing Topic”. Please look below or click on the following link to learn more about topics: “Topic”. 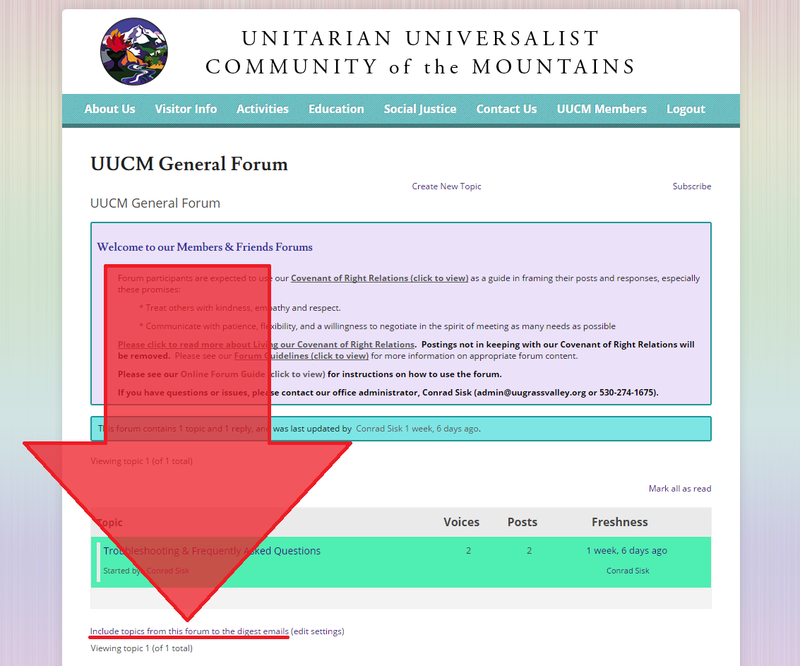 You can report any topic or reply on the UUCM forums if you believe it contains inappropriate content according to our Forum Guidelines (click to view). Moderators will review reported posts, and decide whether they should be removed from our online forum according to our Forum Guidelines (click to view). Please look below or click on the following link to learn how to report content: “How to Report Inappropriate Content”. The term “thread” describes an initial post (also known as a “topic”) and the replies posted in response to that topic; all of these posts are part of the same thread. You can subscribe to posts on the online forum. When you subscribe, you will receive email notifications when new posts are made; this way, you don’t have to remember to check the online forum for new posts. You can configure your subscription settings in a number of ways, depending on what type of email notifications you would like to receive. To learn how to subscribe and receive email notifications, please click here: “How to Subscribe to Email Notifications”. To learn how to receive your email notifications as a daily or weekly digest, please click here: “How to Receive Notifications as a Daily or Weekly Digest”. If this guide does not contain the information you need, please contact our Office Administrator, Carol Fulkerson (admin@uugrassvalley.org or 530-274-1675).